It’s been a week now since the Surviving R Kelly docu-series shocked and disgusted the nation on the Lifetime network. The #MuteRKelly movement has picked up significant steam and there have been more conversations about sexual predators. However, the black community is still divided on how we move forward. As crazy as it seems, there are still countless R Kelly fans who refuse to stop supporting him. His digital music sales have spiked tremendously and the embattled singer was videotaped out at a Chicago nightclub shamelessly celebrated his 52nd birthday surrounded by fans as he crooned to them. Adding to the confusion are the revelations that at least two of the commentators in the documentary have also been accused of either sexual assault or inappropriate behavior, and even the producer of the documentary has been accused of misbehavior. The alleged victims have also come under scrutiny. 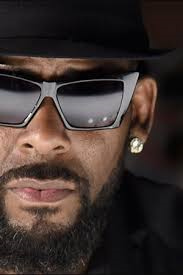 R Kelly has denied all allegations and has even gone as far as to “out” his accusers on a website he has had created for that purpose. Although there may be some discrepancies in the stories of some of the alleged victims and some contributors of the docu-series, I believe it is safe to say that everyone was not lying. As of today there are prosecutors in several cities across the country who are looking to potentially come after R Kelly legally. It is uncertain how successful they will be, but in this time of the #MeToo movement, Kelly should not be sleeping well at night. He need not look any further than Bill Cosby to know that justice can be slow, but it has a tendency to catch up to you. As for the rest of us, we need to examine where we stand. It is my personal opinion is that we can’t justify the continual support of this individual. If we support him then we are complicit, period.